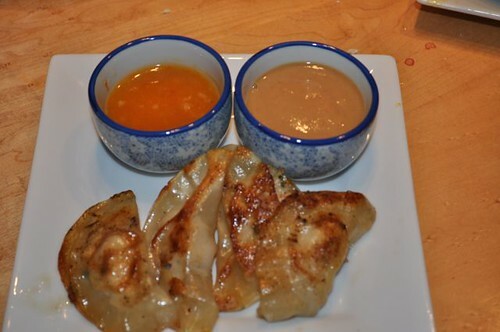 Who doesn’t love dumplings? Exactly. 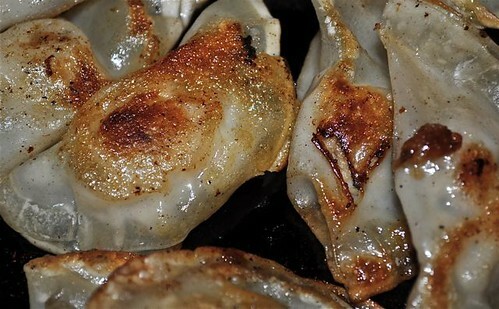 Who does love dumplings? Precisely. Dumplings are universal, whatever you call them, – tortellini, pierogi, potsticker, empanada, ravioli, gyoza, wonton, kreplach, knish, gnocchi, pelmeni, matzo balls, samosa, dim sum, dango, manti, spätzle – they’re all cooked balls of dough. And as Shakespeare so aptly put it, in reference to the rose, (he surely would’ve said the same about a ball of dough) – by any name still smacks as scrumptious! There are 2 types of dumplings, dropped & rolled. 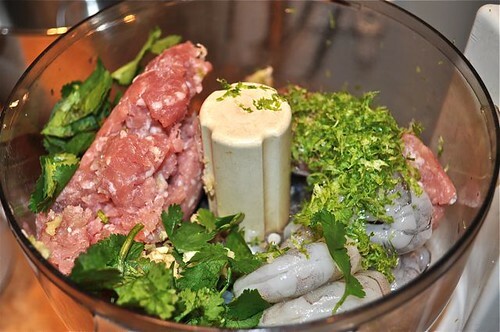 The fillings and flavorings are either mixed directly into the dough and dropped into a pot to cook or the dough is rolled out and wrapped around the filling and then cooked by the method of your choice. So, no matter what kind of “dough” you choose, and whatever additions you invite to the party of said dough – you will end up with dumplings. Think the classics, like pork & cabbage or head outside the box where anything goes. And as far as flavor combos go? Think Italian, think Asian, think Mexican – uuuhhhh, how about German? Ham, cheese & sauerkraut anyone? Think sweets, think treats – I’ll leave you with a chunk of chocolate tucked into a wonton wrapper, sealed and crisped up in a hot pan of melted butter headed for a quick dip into a bowl of gloriously whipped cream … I know, I know … back away from the edge! 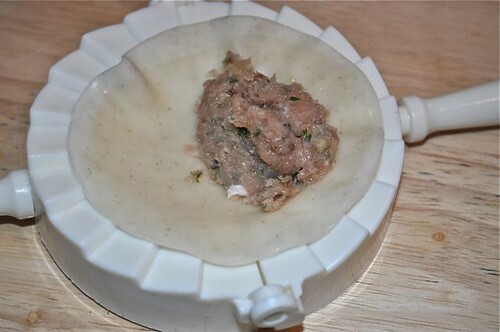 Here’s the dumpling lowdown and here’s what I did today – because the filling of a dumpling is whatever you want it to be! 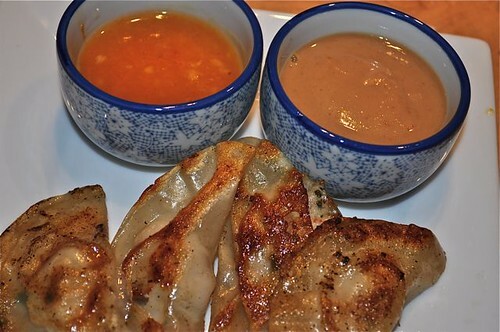 With a well-stocked asian pantry and wrappers at the ready – a dumpling is not far behind. 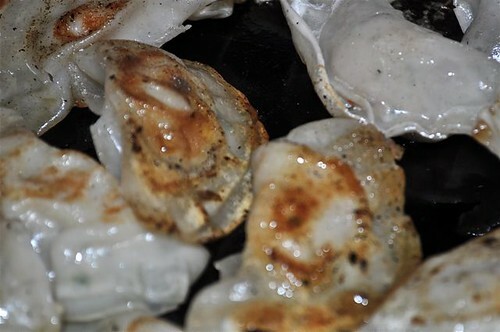 And here’s a little primer before you get started – dumplings 101 and have a look at how to fold & seal a dumpling and you’ll be whippin’ these babies up faster than the latest iphone! 1. Put all the filling ingredients in the food processor. 2. Pulse until well combined. 3. Get your wrappers ready. 4. 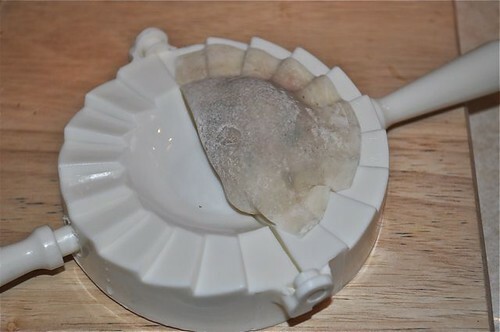 I have this nifty little dumpling press that makes crankin’ out dumplings (and anything else that gets wrapped in dough) an Olympic activity. Simply lay down a wrapper and add a spoonful of filling. If you don’t have a press, just lay the wrapper on your board and centre a teaspoon of filling. 5. 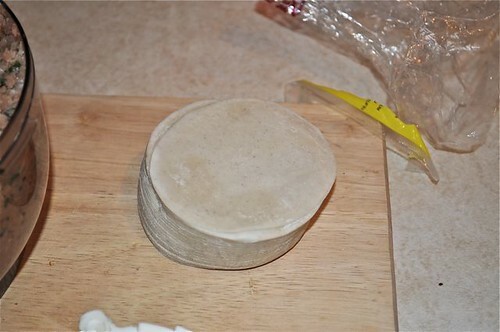 Moisten the edges with the egg wash or water to ensure a good seal, fold over and press to close. Don’t overfill or you’ll have exploding dumplings – not pretty! And to see how it’s done – folding & sealing 101. 6. One down, many, many more to go – and it’ll be sooooo worth it – you’ll see! 7. Sear in a preheated, lightly oiled pan, swirl in a little butter too, for over-the-top flavour. Flip to brown on both sides. Add a little water (1/3-1/2 cup), cover & continue to cook another 3-5 minutes. 8. Uncover, keep cooking until all the water has evaporated or your mouth begins to water – whichever comes first! Turn off the heat and turn your attention to dipping sauces – any dipping sauces. 9. 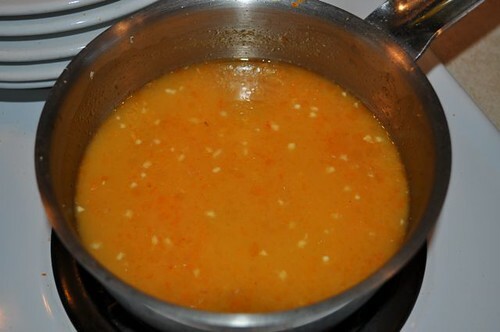 Here’s a quick mixture of chicken broth, sweet red chili sauce, a shake of soy, minced garlic, grated ginger & hot sauce. 10. 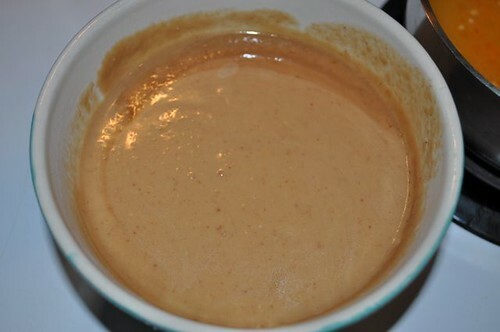 Or a little peanut butter, chicken stock, crushed garlic, sesame oil, hoisin sauce and water to thin. 11. And get ready for your closeup! 12. There it is – I know, I know – we should have made a boatload! 1. Pulse the following in a food processor until well mixed. You’re looking for a paste-like consistency. 2. 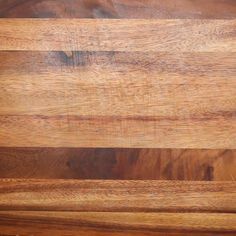 Heat up a fry pan over medium-high heat and lightly coat with oil. 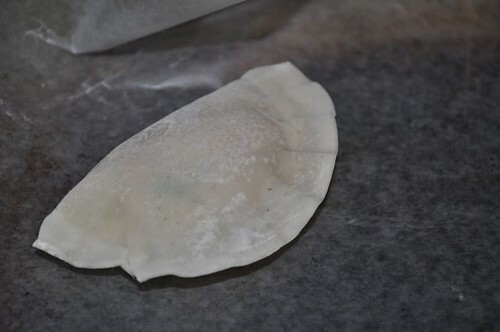 In the meantime – place a healthy teaspoon of filling in the centre of the dumpling wrapper, moisten the edges with the egg wash, fold over and press to seal. 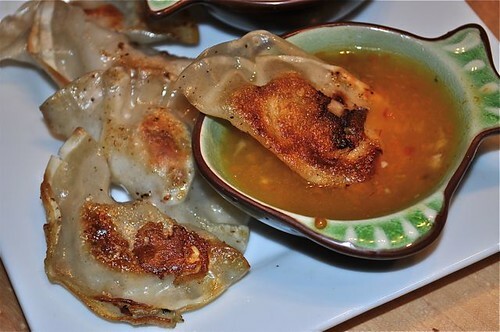 Place dumplings on a sheet pan, lay a slightly dampened paper or dish towel over top while you work. 3. Lay the dumplings in the preheated/oiled frypan, sear on both sides until golden brown. 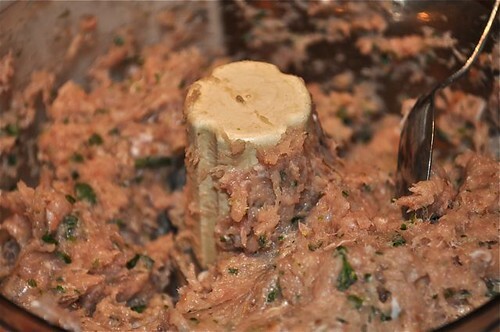 Add a little water (1/3-1/2 cup), cover and continue to cook another 3-5 minutes. Uncover, continue cooking until all the water has evaporated or your mouth begins to water! Turn off the heat and turn your attention to dipping sauces – any dipping sauces. Extra wrappers can be pan fried ’til crisp & lightly seasoned – with salt, onion, garlic powder, cayenne or go sweet with sugar & cinnamon or sugar & cocoa powder. Extra filling is great quickly stir-fried and added to scrambled eggs or sprinkled over salad or pasta. If there are any leftover dumplings, drop them into a soup, add them to a stir fry or reheat & eat. Mmm, my only experiences with dpnluimgs have been of the cracker barrel chicken variety…but I haven’t had them since going vegetarian! I think I’d have died for these…may have to tackle homemade vegetarian dpnluimgs sometime soon! Yah i love your links to!!! !